Since our company's inception in 1991, Boyd Metals has been devoted to making our customers number one. This means we are not only devoted to providing our customers with world-class service, but go above and beyond to deliver the quality products and competitive pricing our customers need, exactly when they need it. Whether you are a first-time client or a returning one, our mission at Boyd Metals is ensure every single customer receives the best experience and care possible every single time. Watch this short clip of Boyd Metal's Brian Newman and Betsy Skinner as they explain our commitment to excellence and reliability in customer service. We take our clients seriously and work hard to make sure they get what they need when they need it. Each of our five locations is equipped with the staff, training, tools, trucks, and materials they need to ensure fast, reliable service to the businesses in their region. Each location prides itself on being local and has the flexibility to make adjustments and effectively solve any arising client needs. We provide excellent service to clients within a limited radius of each of our distribution facilities. Our commitment to working with local businesses makes it possible for us to offer free, next day delivery on the quality metal products our clients need, even on short notice. We service Arkansas, Missouri, Kansas, Oklahoma, and Texas. 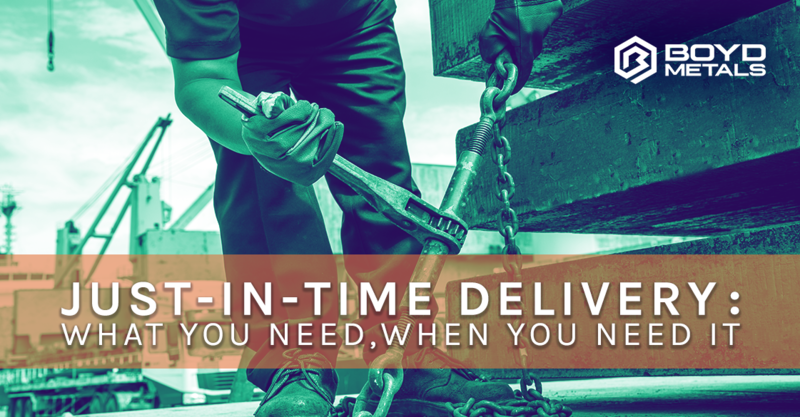 If your business is in our coverage area and you need next day delivery on your metal, we can deliver in time because we are there and care about your business getting the job done. Interested in working with a local metal supplier that cares about you and your projects? Experience the Boyd Difference for yourself. Contact one of our Boyd Metals locations today and learn how we can deliver solutions to all of your metal project needs right when you need them.